Discover motivation at your fingertips with the PreTime to BigTime Piano Supplementary Library. 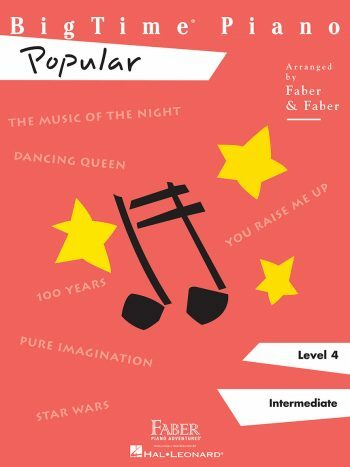 Arranged at seven levels of difficulty, the series offers enjoyable arrangements of well‐known pieces at precisely the right grade level. 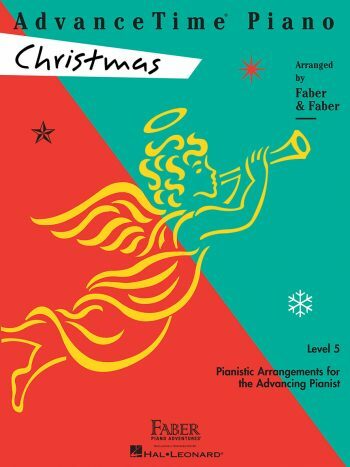 Choose from an exciting range of musical genres including Disney, Hits, Popular, Favorites, Classics, Jazz & Blues, Rock ‘n Roll, Ragtime & Marches, Hymns, Kids’ Songs, Christmas, Jewish Favorites, and the Faber Studio Collection. 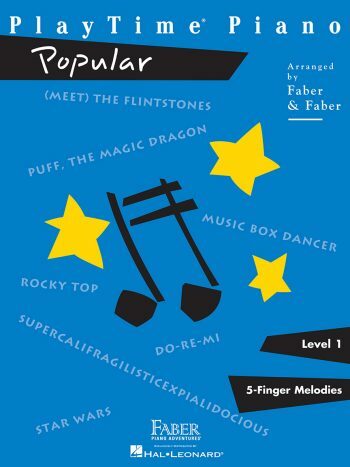 The PreTime Piano books for the Primer Level pianist include familiar 5‐finger melodies to develop note reading skill while inspiring practice. Optional teacher duets add rhythmic vitality and fun. 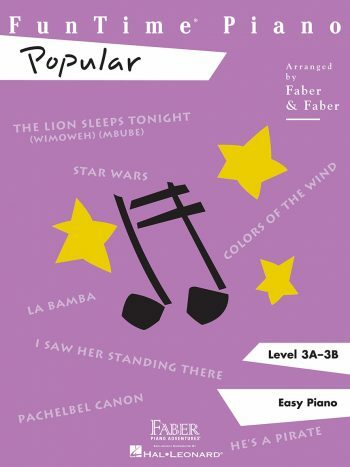 The PlayTime Piano books for the Level 1 pianist use primarily 5‐finger hand positions for simplicity, yet extend enough beyond Middle C position to reinforce note reading and interval recognition, including sharps and flats. The ShowTime® Piano books are arranged to provide a smooth transition for Level 2A students. Pieces begin gradually moving the hands outside of the 5‐finger position. Circled finger numbers help alert the student to a change of hand position. Melodies are harmonized ­simply, usually with single notes or ­harmonic intervals. The ChordTime® Piano books are the perfect motivational material for Level 2B students. 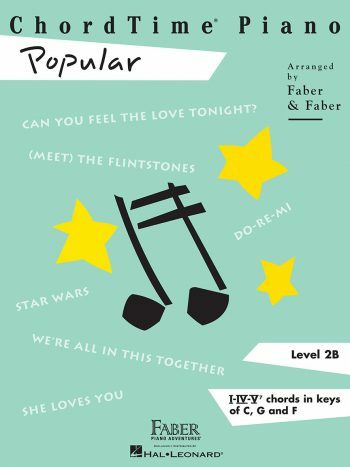 Each book provides instruction and drill in basic chord patterns in the keys of C, G and F. The arrangements emphasize the student’s mastery of I, IV, and V7 chords. 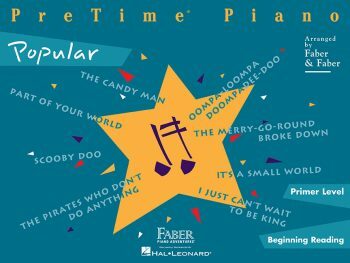 The FunTime® Piano books, arranged for the early intermediate pianist (Level 3A‐3B), help students develop a strong rhythmic sense while reinforcing other basic skills in a variety of keys and tempos. 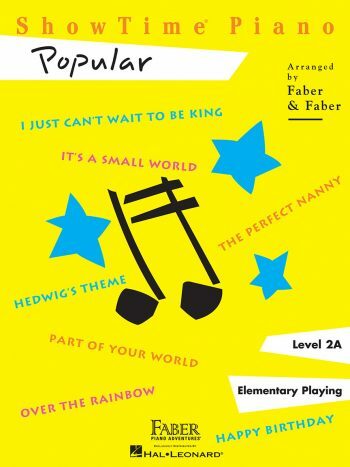 The BigTime® Piano books are arranged for the intermediate pianist (Level 4 and above). The selections have been carefully chosen for their broad appeal and are pianistically arranged to give the student a “big” sound. The AdvanceTime® Piano books are arranged for the advanced pianist (Level 5).